The board backed envelopes combine 2 kind of paper. On one side a paper quality of 120 grams, on the other side a 550 grams quality carton. This envelope is perfect for sending important documents. Due to the rigid backside, your documents will not get damaged or creased by the transport. 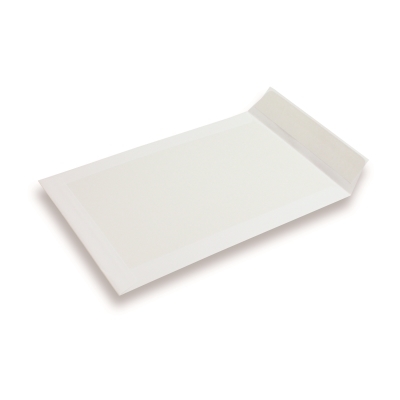 The board backed envelopes are printable by our services with for example your logo or some other brand style.